Will it be a Blue Wave or a Red Tsunami? No one knows, but one thing is for certain: You aren’t short of betting options prior to this year’s midterms. Bovada sportsbook has updated and released new betting lines ahead of the 2018 Midterm Election on Tuesday, Nov. 6th, including odds on outcome in Congress individual gubernatorial, U.S. House, and U.S. Senate races. 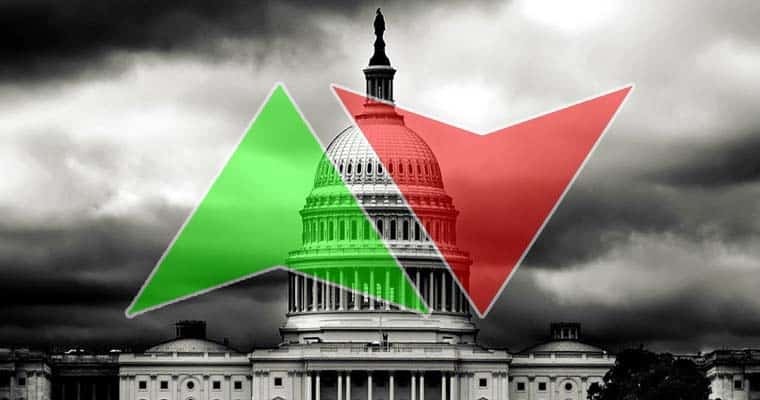 Today, the sports betting site posted new political prop odds that include bets on which state will have the closest race for U.S. Senate and how many female senators and representatives will the country have after the midterms. Below are all the betting lines currently listed on the political betting section at Bovada. You can see Bovada’s current odds and place a bet on the 2018 Midterm Elections here, and so you can stay up-to-date with any changes in any of the betting lines. How many female US Representatives will there be at the beginning of the 116th Congress? How many female US Senators will there be at the beginning of the 116th Congress? Who will be the next Speaker of the House of Representatives? What will the vote margin be in the 2018 Texas US Senate race?